VAUXHALL ASTRA CORSA MERIVA VECTRA ZAFIRA 1.4 & 1.6 CATALYTIC CONVERTER CAT. VAUXHALL ASTRA 1.4 16v Mk. VAUXHALL ASTRA 1.6 16v Mk. VAUXHALL CORSA 1.4 16v (Z14XE engine) 09/2000-12/2009. VAUXHALL MERIVA 1.6 16v 01/2002-01/2006. VAUXHALL VECTRA 1.6 16v 03/1999-08/2002. VAUXHALL ZAFIRA 1.6 16v 10/2000-08/2005. PLEASE ALSO SUPPLY YOUR TELEPHONE NUMBER SO WE CAN GIVE THIS TO THE COURIERS. Fitment & Listing Information Please be aware that whilst we make every effort to ensure this listing is as accurate as possible, there may be alternative parts that fit your vehicle. There may be other factors that can determine if a part will or will not fit your vehicle. These factors can include, but are not limited to, Engine Number, Engine Code, Chassis Number, Production Date, Registration Date, Transmission Type or Country of Origin. Whilst the compatibility guide may say this fits the same vehicle as the one you have, it doesn't confirm 100% suitability for your vehicle. We do ask for the customer to check fitment prior to ordering. We also ask for the UK registration number or chassis number of the vehicle if purchasing from outside the UK to be provided on checkout (even if fitment has been checked beforehand). If no vehicle information is provided on checkout, we will dispatch the item you have ordered. Please see the bullet points below: The quantity of items available is correct at the time of uploading this listing. The prices shown are inclusive of VAT. Orders placed at anytime over the weekend will be delivered on Tuesday. The placing of an order for goods shall be deemed to be acceptance of these conditions. Nothing in these Terms & Conditions shall be construed as affecting the statutory rights of the Customer. B Supply of the Vehicle Registration Number You must supply the vehicle registration number when placing your order. All Orders can be cancelled within a period of 14 days, beginning with the day on which the item was delivered. Goods must be unused, undamaged and in their original packaging. Please pack the item securely and send it to us with a copy of your order notification slip so that we receive it within 28 days beginning with the day on which the item was delivered. Please note that you will be responsible for the cost of returning the goods. We will not accept any responsibility for items lost or damaged during return transit. In the absence of such emailed notification of claims, within the periods aforementioned, the goods shall be deemed to have been delivered in accordance with the contract. The aforementioned warranties do not apply to defects in goods or damage to the goods caused by misuse, faulty workmanship, operation beyond the limits of rated capacity, or neglect or default in the use or application of the goods. All conditions and warranties whether expressed or implied are hereby excluded save only those which by statute may not be excluded. Price Beater Whilst endeavouring to be competitive, our price beater policy is subject to our discretion, and we reserve the right to decline an offer to beat a competitor's price. Diesel Particulate Filter Guide to Installation & Fault Finding IMPORTANT NOTE: If you are replacing your Diesel Particulate Filter it is highly likely that either a fault occurring elsewhere on the vehicle or the driving style has caused it to fail. A full fault diagnosis must be carried out by a fully trained technician with the appropriate diagnostic equipment to establish if the DPF needs to be replaced. The checks listed in this guide should be carried out prior to replacement to ensure the new DPF operates correctly when fitted. By not carrying out these checks the new DPF could fail shortly after it is replaced. Unlike a catalytic converter a DPF is not a flow through device, it is a soot trap that collects particulates from exhaust emissions. The exhaust gasses flow into the DPF but cannot exit down the same channel as the exit is blocked. The gasses escape through the porous cell walls, but the particulate matter is too large to escape so is trapped within the DPF. The DPF disposes of this soot during a process called "regeneration" when the particulates are burnt off. On a properly functioning vehicle regeneration will occur approximately every 500 miles (this is very substantially dependent on the vehicle and driving conditions). Why do DPFs Fail The most common reason for the failure of a DPF is that it has become too "clogged" with soot to be able to regenerate. It is easy in this instance to simply assume the DPF is at fault and replace it, but if no diagnostic work is carried out it is likely the new DPF will fail quickly (within 200 miles) Initial Investigation The best source of information is the vehicle owner/driver. The information they provide can be invaluable in identifying the fault. What type of driving does the car do? If the car does mostly town or city driving it is likely that the DPF has not reached the optimum temperature to regenerate and has become "clogged". If the car does a lot of motorway driving and the car has 6 gears and theengine revs are sometimes so low that the exhaust temperature does not get high enough for regeneration to occur. Occasional harder driving in low gears should be enough to burn off the soot in these cases. How long has the DPF warning light been illuminated Many DPF problems are caused by simply ignoring the warning lights that advise that the DPF needs to be regenerated. Once the DPF is around 45% full the vehicles Electronic Control Unit makes changes to the fuel injection timing to increase the exhaust temperature to burn off the particulates. If the journeys completed at this point are stop/start the conditions required for regeneration may not be met and the warning light will be illuminated indicating that the DPF is starting to become blocked. It should be possible to clear this warning by driving at speeds greater than 50mph for around 20 minutes (the engine must be running at a minimum of 2500 rpm). If the warning light continues to be ignored or conditions for regeneration are not met the level of soot in the DPF will continue to increase, and at around 75% full the DPF will have to be regenerated by a dealer or specialist garage. You can expect other dashboard lights to be illuminated as well. If the warnings are still ignored and the soot levels increase to around 95% you can expect the vehicle to be put into "limp mode" by the ECU in order to protect the engine from damage due to the increased back pressure caused by the blocked DPF. At this point the DPF cannot be regenerated and will need to be replaced. Has the vehicle been serviced recently or has the oil been changed? If the vehicle has recently been serviced it is worth checking that the correct type of oil has been used. Most DPF vehicles require a special type of low ash oil, and using the incorrect oil can lead to problems during the regeneration process. If the vehicle uses a fuel additive system to aid regeneration it should be checked that the additive tank has been filled. The additive tank is normally located near the fuel tank. Diagnostic Checks & Installation Before fitting the DPF diagnostic checks should be carried out with an appropriate fault code reader to establish any codes held within the ECU. Comprehensive testing of the components listed below should also be carried out as a fault with one of them either alone or in combination could lead to DPF failure. Be aware that an unresolved fault with the vehicle that illuminates the engine management light will usually prevent the regeneration process from initiating and therefore the DPF will become blocked. DPF Pressure Pipes & Sensors - checks should be made to ensure all pipes are free from damage or blockages and the differential pressure sensor is working correctly. It is best practice to replace the differential pressure sensor when fitting a new DPF. Oil Level - if the oil level is high this is a sign that it has been contaminated with fuel from failed regeneration attempts. The extra fuel intended to increase the exhaust temperature can find its way into the engine sump, contaminating the lube oil and sometimes leading to a breakdown as the engine can start to run uncontrollably on its sump oil. An oil change will be necessary. Oil Specification - check that the correct low ash oil has been used. Fuel Additive (where applicable) - check the level of the fuel additive, and fill the additive tank as required. Sensor Checks - check all sensors (exhaust gas temperature & oxygen sensors) to ensure that they are operating correctly. EGR System - check the Exhaust Gas Recirculation valve is working correctly, is not blocked and is sealing correct. 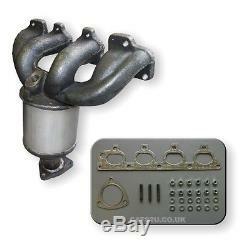 As a minimum the EGR valve must be removed, cleaned and checked before replacing the DPF. A faulty, clogged or leaking EGR valve will cause the DPF to become blocked. The Following Items Must be Checked - air flow meter, engine and turbo wear, injectors (in case they are leaking or over fuelling) turbo hoses and the intercooler must be checked for leaks, correct glow plug & glow plu controller operation and the main engine ECU should also be checked for any malfunctions. DPF Installation & Set Up Once the fault that caused the previous DPF to fail has been rectified the new DPF can be fitted. The new DPF should be fitted loosely to line it up correctly with the rest of the exhaust system before tightening it up. This includes telling the car that a new DPF has been fitted, resetting the ash counter and calibrating the differential pressure sensor. Failure to complete the setup procedure correctly will cause the new DPF to become blocked as the vehicle is unaware that a new DPF has been fitted and therefore the regeneration system will not have been reset. A forced regeneration may be part of the reset procedure and some vehicles may require and ECU software update. If all guidelines have been followed a new aftermarket DPF will work in the same way as the O.
Specification unit did prior to failure. We have experienced an incorrectly diagnosed/setup vehicle to block a new DPF within 50 miles but around 200 miles is most common. Although every effort is made to ensure our catalytic converters will not fail, sometimes a problem with the vehicle will cause them to break down. Road Damage This is external damage caused to the catalytic converter by hitting solid objects in the road, i. Plugged or Contaminated Plugged or contaminated catalytic converters are caused by using the wrong sort of fuel in your car. Using leaded or lead replacement fuel will plug up the monolith and cause it to stop working. A similar thing will happen if fuel additives are used that are not suitable for use with a catalytic converter. Oil Fouled This is caused by oil getting into the exhaust system and contaminating the catalytic converter. The most likely cause would be a failing seal or gasket. Broken Substrate The monolith is usually broken when it is impacted by an object or when it suffers a sudden change in temperature. If the catalytic converter suffers road damage the monolith inside can be cracked due to it being crushed by movement of the steel can. The use of exhaust paste before the catalytic converter can cause the monolith to break. When the exhaust paste has hardened small pellets may break away and shoot into the catalytic converter. The monolith will gradually be destroyed by these pellets and break down. The catalytic converter can also be damaged by excessive engine vibration. Overheating There are many problems that can cause the catalytic converter to overheat or fail. The most common cause is unburned fuel entering the catalytic converter. Faulty spark plugs or ignition leads will cause the engine to misfire sending unburned fuel into the catalytic converter leading to overheating and failure. A Oxygen Sensor An oxygen sensor collects readings and sends information to the electronic control unit. This information is used to control the air/fuel mix. If the oxygen sensor is faulty the air/fuel mix will not be corrected and excess fuel will enter the catalytic converter causing it to overheat and fail. B Fuel Injection Systems If a fuel injector is leaking internally or dribbling fuel into the engine the excess fuel will enter the exhaust system causing the catalytic converter to overheat and fail. C Map Sensors Map Sensors tell the electronic control unit the load the engine is under and the amount of fuel entering it. If a map sensor fails it causes the engine to run too rich which causes the catalytic converter to overheat and fail. D Carburettor Systems A worn or defective carburettor can cause a catalytic converter to overheat and fail. Problems such as improper float or air/fuel mix adjustments, worn metering rods or a faulty choke system can cause too much fuel to enter the engine and then the exhaust system causing the catalytic converter to overheat and fail. E Canister Purge Valve Control This vacuum operated valve vents fuel vapour from the carburettor bowl to the charcoal canister. If the vacuum is breached the charcoal canister will flood causing the air/fuel mixture to become too rich which will cause the catalytic converter to overheat and fail. If your vehicle has failed the MOT emissions test or your catalytic converter is rattling or blocked you will need to include a scanned copy of an engine emissions report. The most common causes of a blocked DPF are listed below. A newly fitted DPF will block if the fault that caused the original filter to block was not rectified prior to fitting the replacement. After installation the main Electronic Control Unit must be readapted to the new DPF. If the correct setup process is not completed the regeneration process will not initiate and the DPF will become blocked. A fault with an associated component i. Differential pressure sensor, exhaust gas temperature sensor, exhaust gas recirculation valve will prevent the regeneration process from initiating and the DPF will become blocked. When the DPF light illuminates you must follow the instructions in the owners hand book, failure to comply could result in a blocked DPF. A DPF that uses an additive to assist in the regeneration process must never be driven without this fluid as this could result in a blocked DPF. On most vehicles the regeneration will not take place when the fuel light is on or if there is less than 10 litres of fuel in the tank. The use of the incorrect grade and type of engine oil can cause a DPF to become blocked. It is not advisable to run a DPF equipped vehicle on Bio-Diesel fuel as this can block a DPF. The style of driving or type of journeys covered that do not allow the vehicle to meet the correct parameters for active regeneration will cause a DPF to become blocked. The item "VAUXHALL ASTRA CORSA MERIVA VECTRA ZAFIRA 1.4 & 1.6 CATALYTIC CONVERTER CAT" is in sale since Thursday, May 3, 2012. This item is in the category "Vehicle Parts & Accessories\Car Parts\Other Car Parts". The seller is "cats_2_u" and is located in London, NW9 6JX, United Kingdom. This item can be shipped worldwide.